When you began as a landlord, you probably wanted to manage everything yourself. You may have done it to keep overhead costs down or because you weren’t sure exactly what tasks are required from a landlord on a day to day basis. When you have a house or two under your belt, nevertheless, you likely discovered that the situation isn't as workable as you first thought. You end up taking an excessive amount of time from this day to check out property issues, dealing with tenant billing, or spending hours figuring out screening. Rather than forcing yourself to do everything, think about assigning these 5 property management jobs. If you aren't an accountant by trade, keeping track of income, expenditures, and other associated property fees can be a full-time job by itself. Should you stay with a handful of properties, you may not need to delegate bookkeeping tasks, but if you entered the landlord business to cultivate your property portfolio, a bookkeeper is essential. Marketing is another specialized skill that may essentially be a full-time job. Content advertising, paid search engine marketing, local advertising, direct marketing, and search engine optimization are all strategies that help improve your house's presence. You may only require marketing services when you have open listings, so it is reasonable to delegate this job to a contractor or consultant who manages it on an off-the-shelf foundation. As soon as it's possible to do your marketing, it requires a significant amount of investigating to figure out the most cost effective methods. When you delegate this task, you get that technical expertise on hand in any way times. Wish to avoid the time necessary to chase tenants around to pick up payments? Electronic billing services geared toward landlords provides you with a means to cut out that hassle . These systems not only eliminate the time necessary to get payments from your tenants, but it also supplies you with a way to rapidly deposit the amount into your operating accounts . Mobile deposits eliminate some hassles connected with checks, but it still requires action on your part. Tenant screening takes up a substantial part of time. Additionally, it is important that you understand how to accurately read the info on credit reports, background checks, along with other screening information. Instead of working with it yourself, third party solutions can handle the checks for you and provide you accurate feedback to assist you pick the best tenants. You would like to get the full tenant image so that you don't encounter heavy renter turnover. Even when you're a DIY master, then it is useful to have contractors available for plumbing, electrical work and general contracting. Up-keeping properties quickly and efficiently is important for a lot of reasons, such as: preventing further damage, assessing the current state of the house, and ensuring renter happiness (which leads to decreased turnover). Between finding a trustworthy maintenance business in a short length of time, negotiating a reasonable speed, and working with everybody's schedules so that the maintenance team has access to the home, it is easy to become overwhelmed and end up frustrating your tenants. A 3rd party maintenance coordination company can take that off your plate, be it after hours, 24/7 emergency, or full time coordination. Property management and maintenance services might look like two sides of the same coin. Though they're equally essential for maintaining and enhancing your property's income and value, they are different areas. Whether you manage residential, student housing, or industrial properties, property maintenance services refer to activities involved with the upkeep of your property. Therefore, it's sometimes regarded as only a subset of overall property management actions. Obviously, property management also contains each of the tasks contained in real estate operations, such as collecting rent, property promotion, bookkeeping, and managing rentals. While handling properties requires more than maintaining them, no property owner or manager wants to simply leave such a critical element of maintenance management to chance. Take a little time to learn more about various facets of building maintenance management, why it's so important, and of course, how to manage it better and more efficiently. What is Property Maintenance and Why Should it Matter to You? Property maintenance is the plan and activities involved with maintaining your rental properties. There are routine property maintenance jobs, such as ensuring fire detectors are in working order, pool services (if appropriate ), ensuring lighting is practical, and so on. Additionally, there are larger, less frequent maintenance projects like roof, parking lot or walkway paving, etc.. The main reason maintenance is so critical is to avoid the unexpected maintenance issues that could occur if the upkeep is ignored. You can't overstate the importance of home maintenance services. 1 report pinpointed the epidemic of SARS from Hong Kong to bad construction maintenance. Other potential and more prevalent hazards include injuries from falling construction materials, fires, or poorly kept walkways. No property manager or owner would like to face claims of negligence in court, cope with skyrocketing insurance premiums, or expertise poor press and negative testimonials. To avoid serious difficulties, property managers have to think about maintenance among the most important parts of their job. Increased home value: A preserved property will hold value or increase in value. The lack of repairs will detract from the home's market value and rental rates. Satisfied tenants: Poor upkeep of buildings, land, and appliances can generate dissatisfied tenants and might break the terms of your own lease. Reduced prices: An efficient property management program can save money by minimizing risks, extending the life span of appliances and equipment, fulfilling tenants, and decreasing manual work. Less work: Property managers have plenty of work to perform. Using a construction maintenance program set up, you can cut back the time you spend calling tenants and tenants, tracking work orders, manually entering data in other software, paying invoices, and dealing with emergencies. It's no secret that you have to keep your house maintained to maximize its own value. Subsequently, this can provide your company an opportunity to maximize rental prices and also be more selective about tenants. When you meet tenants needs, then you also get to appreciate lower turnover and reduce the probability of fees that you have broken the end of the lease agreement through neglect. Your prudent investment in a good property maintenance program will help improve your profits, preserve your good reputation, save some time, and reduce hassles. You've got every reason to invest in property care providers. A record of routine upkeep, that you perform on a monthly, seasonal, or annual basis; like this Winter Checklist. A very simple example could include having the HVAC system serviced twice a year or making sure the roof was cleared of debris before it snows. Scheduled maintenance can extend the helpful lifetime of valuable assets and decrease the chance of expensive, urgent repairs. As a property manager, you or your workers may also notice maintenance problems, such as ice on paths, that you will need to address instantly. You require a means to communicate, manage, and monitor maintenance problems to keep your property safe and renters satisfied. Great property maintenance will supply you and your company with a lot of benefits. By providing both renters and owners the advantages of outstanding upkeep, property managers can even personally benefit by increasing their own productivity and value for their employers and connection with renters. Still, achieving these advantages requires an ability to communicate with tenants and vendors, handle work orders, budget for work and supplies, and stay on top of programs. To get a handle on how much effort successful property management requires, it's crucial that you drill down from the high-level overview above into the main activities which must get managed to assure appropriate property maintenance. 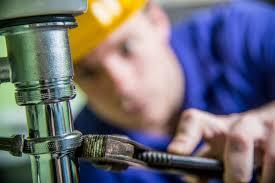 Tenants may call in at any moment with maintenance requests that range from routine to urgent. Some examples could include anything from regular requests to alter light bulbs to urgent problems with leaky or clogged plumbing. You might field requests by phone/text or email, and of course, a few of those requests will happen after average working hours. You need a maintenance management system to be sure tenants are satisfied by offering a handy way to communicate. Tenants also need assurance that somebody is getting the message and fixing their difficulty. Some property managers discover that handling phone calls to report and then ask information about repairs requires more time than simply tackling the repairs. The very best property maintenance programs make it possible for tenants to publish requests and also track their status online. Nowadays, polls have discovered that customers increasingly want to serve themselves. Self-serve choices make coping with maintenance issues simpler for you and much more convenient for your tenants. Property maintenance supervisors should schedule certain maintenance tasks. Some examples could include routine maintenance like cleaning leaves off the roof at the fall or altering HVAC filters every few months. To keep the property, keep expensive systems running, ensure nothing falls through the cracks, and reduce risks, somebody has to manage work orders to be certain these periodic tasks have been completed on schedule. Without maintenance tracking software, the property manager must spend some time following up and sometimes, communicating with tenants and owners. Fortunately, the same apps that may handle requests from tenants may also have calendar features that allow property managers to program jobs using a calendar. This type of property maintenance scheduling applications will make sure important deadlines don't fall through the cracks. They can even automatically send messages to interested parties. Of course, property managers also must be certain contractors get paid and expenses get tracked. Without integrated maintenance software programs, the house manager may have to handle each of these tasks manually. This kind of manual effort constantly wastes time and allows for errors. Good property maintenance software should also integrate with accounting applications and other applications. There is no reason to have to manually take information from the property management app and then enter it by hand in additional applications. If you're an experienced property manager, you know how much work goes into handling property needs. Once you drill down into all the tasks involved with property management, you will also see that supplying property maintenance service is only 1 task out of many. You understand why you need to invest in excellent maintenance. An investment in the appropriate tools can help you save money, decrease burden, and generate higher profits. The ideal property management software will include features that will please clients, building owners, and of course, home supervisors. It allows renters to make maintenance requests online. Following that, they could use the same app to monitor the status of the request and get communication. Many property managers realize that they save plenty of time on telephone calls, particularly at inconvenient times, to warrant the program. Meanwhile, you,personally, property owners, and some other stakeholders can watch the status of work orders. When it's time to send information to bookkeeping, this integrated application removes the need for manual data entry simply by exporting the information electronically. This sort of software lets you automate a lot of your business processes and improve renter satisfaction through self-serve alternatives. Experienced property managers can benefit from contracting out almost all the hard work involved with maintenance services for renters. Trained customer service agents may take calls or online requests, troubleshoot care requests to mitigate problems, dispatch approved vendors, and update the property maintenance software themselves. Trained maintenance experts allow you to have a expert care department available instantly with no startup costs or training delays. Meanwhile, tenants, property managers, and the other stakeholders will have access to the requests, so that everybody can track the work order status. Mostly, hiring property maintenance services will free your time to concentrate on other tasks involved in handling tenants and properties. You may also consider the benefits of making certain that your property is represented by specialized service agents and mended by licensed contractors. Your renters can enjoy the ease of self-serve care requests and tracking. You will benefit from the ease of having automatic property maintenance services managed by people that you can trust. Property owners, investors, and landlords will be happy to know that approved vendors will soon be dispatched to maintain their property's value and reputation. Care and renovation solutions for investors and owners help maintain property value and reduce risks. Care services for renters keep them happy and also make it feasible to optimize rents, decrease turnover, and hopefully, attract better renters. Do you scramble at the end of the year getting 1099s together for all of your contractors? It’s a real pain isn’t it? At Latchel we work with thousands of contractors so we know a thing or two about simplifying the process of issuing 1099s. Did you pay by check or credit card? Starting in 2012, the rules around 1099 reporting changed. From that point forward credit card processing companies became responsible for reporting transactions made by card. Here’s what this means: if you paid via card (whether it was debit or credit) you don’t have to worry about sending a 1099 to your contractors. If you paid via check or an ACH transaction, however, you may need to. How much did you pay your contractors? Reporting is required for any person (corporations are people, my friends!) you paid $600 or more to over the course of the year. Remember, this $600 only applies to people you paid via cash, check, or ACH transactions. If you used a credit or debit card the payment processor (i.e. Paypal, Stripe, etc.) is responsible for reporting under 1099-K.
What about the Latchel Contractor Network? Latchel understands how time consuming it can be to handle all of the 1099 reporting requirements for contractors. That’s why we make it simple for any contractors sourced by Latchel and paid via the Latchel platform. We have set up our payment platform and operation so that we take care of all of the 1099 reporting requirements, regardless of whether you pay via ACH or card. In other words, if you pay the contractor through Latchel, then we handle the 1099. Makes things easier for you, right? We don’t yet offer payments to your existing contractors through the Latchel platform. Until then, you’re still responsible for paying your own contractors and issuing them 1099s at the end of the year. If it’s a Latchel Contractor, then you’re good. What if my accountants says I still need to issue 1099s even for card payments? First, if you paid through the Latchel platform, we saved your accountant some time. No need to double-issue 1099s since we’re already taking care of it. Some tax professionals… have been advising clients since 2012 not to report certain transactions on a form 1099-MISC… But it's clear that not all taxpayers, tax professionals and yes, even some in IRS, understand that to be the case. This, six years after the law was passed and two years after the law took effect. In fact, sending unnecessary 1099-MISC forms to your contractors create unnecessary work for them and yourself. Since they’re already receiving 1099-Ks from the payment processing companies, the income is being double reported. They should be coming back to you asking you to remove any records that are already on 1099-Ks. If you want to talk with Latchel about our maintenance coordination service (and simplifying payments to contractors) join our Discord community to chat or schedule a meeting with us! The people at Zillow are at the top of the game in regards to data-driven insights regarding the residential leasing and property markets. The good people doing the data crunching see a J-curve trend of rental properties getting on board using the Web of Things and providing Internet connectivity among devices within a house. The Internet of Things is constituted of appliances and devices with on-board detectors that link them to smartphones, computers, the world wide web, and every other device that can connect. It means that using a few swipes of their smartphone homeowners and apartment dwellers can perform everything from brewing an espresso to tracking pets to getting alerts from the refrigerator when it is running low on eggs. And of course, as a property manager, you may be thinking about phone alerts for leak detection, preventative maintenance, hvac filter replacements, etc. To put it differently, some IoT (Internet of Things) devices are for convenience, but many provide practical application to rental properties as well..
Do you remember watching “The Jetsons?” They had a smart home. In many ways, the smart homes of today aren’t so different. For property managers and landlords seeking to entice tenants that are gadget-hungry, convenience-minded -- and willing to pay for a premium lease -- converting components into smart devices is a no-brainer. There is value in the convenience and equipping a home with IoT devices isn’t cost restrictive. In fact, you’re likely to break even on a full outfit of IoT devices within your first couple months of adding a rent premium. The premium itself covers the added cost. Is 2019 the ideal time to purchase smart home devices for your units? Parrot Pot -- Flower Power soil detector technologies enables users to water their crops and keep them alive when away from home. MisFit Bolt -- This wise lightbulb conserves energy, can resemble a house that is inhabited when it is not, and corrects colors in reaction to occupants' sleep cycles. WattUp -- Control any electronic gadget in the room inside a 15-foot radius with your smartphone. Kwikset Kevo -- Using this specific deadbolt and smartphone program, users may provide digital home keys to household members, the cleaning service, along with the dog walker. SkyBell -- This digital doorbell features motion sensors that indicate when someone reaches the front door and allows the occupant to see who it is. Water Hero -- This method alarms homeowners if a pipe leaks or bursts so that they can repair the issue before it turns into a catastrophe. Internet connectivity allows users to control the apparatus from nearly anywhere using smartphone apps. Most smartphone owners utilize every one of the programs for a specific function (believe Google Maps, Kindle scanning program, or even Spotify). Extending this analogy into a house filled with smart appliances and gadgets, the amount of different programs and hubs a customer would have to control everything becomes overwhelming. Imagine starting one iPhone or Android program to heat the bed up, yet another to lock the front door, another to begin the security system, etc. And when every one of those home apparatus needs its hub, expect the house to be crawling with cables, wires, and power strips. These devices and hubs may create a troubleshooting mess. The ultimate in convenience, however, is exactly what the IoT home is about, so retailers and manufacturers are working together to decrease the amount of programs and hubs required to restrain smart home devices. Their answer: growing communications standards that allow products from various manufacturers to speak with one another within a frequent network. Staples -- The workplace mega-store advised Kirsner that its $79 Link hub joins 150 apparatus from a range of manufacturers to one network. A few of the items users may control would be the Nest thermostat and lighting bulbs and door locks from many businesses. To easily determine which devices utilize Connect, each of a customer needs is one program from Staples. WeMo out of Belkin -- Based on technology website VentureBeat, the WeMo connected house system can restrain 25 apparatus produced by the likes of Mr. Coffee and Crock-Pot. In CES, Belkin introduced its own communications regular, Zigbee, which joins the hottest smart devices, such as "key fobs, lighting bulbs, door detectors..."
HomeKit out of Apple -- USA TODAY noted that HomeKit "allows iOS customers to safely control lights, locks, video cameras, video cameras, doors, thermostats, plugs and buttons using their iPhones." Dan Lieberman’s The Effective Landlord is an essential read for any property investor or manager. It contains the basic formula for acquiring low quality properties and turning them into reliable positive cash flow machines. Attractive properties can command higher rents. Higher rents at desirable properties attract higher quality tenants. Higher quality tenants commit fewer damages and move out less often. Fewer damages, move outs, and higher rents generate greater profits. Greater profits allow you to invest more into making properties more attractive. And on and on as your wallet gets fatter and fatter and your tenants become happier and happier. The area is ultra-competitive and getting more crowded daily. With all these alternatives, which linked house platform will homeowners and property managers invest in -- and how do we know which platforms and products will last in the long run? These businesses are also scooping up apparatus manufacturers as partners in a struggle to become the best dog in the smart home area. The stakes are enormous: the winners aspire to obtain a foothold into customers' homes to market more of their own and their partners' products. With numerous new devices offered and many significant firms connecting the associated home system fray, customers have a lot of options, but the abundance of choices has a drawback. Selecting a smart home system to invest in is a challenge since every network speaks its own terminology and needs its own hardware and smartphone app. When consumers hear a brand new, must-have or appliance, even before purchasing it, they will need to check whether it could connect to their preferred smart home system. If the unit is not supported, the user might need to purchase another hub and download its companion program. This means more gear and wires to clutter the house and much more programs to manage. Because of this, selecting the"right" smart house network stays a small bet until a worldwide network standard appears that allows most devices and programs available on the industry talk with one another. Just take this case, where a network supplier like Staples and also a spouse which produces devices like Logitech possess a tiff and split up. The outcomes? Consumers may be locked from using their beloved Logitech devices in their network, which makes them not just less suitable but maybe obsolete. "It is not tough to envision a future in which an Apple or a Microsoft pushes a house OS update and all a sudden your kitchen no more supports your older smart refrigerator," tech journalist Matt Honan stated on WIRED.com. It required approximately 14 years before many producers embraced WiFi, the norm for connecting computers and printers to wireless home networks, therefore the odds of a open standard emerging in 2015 are slender. Back in Washington, Congress has been training its sights on safety breaches of networked devices. Senator Ed Markey of Massachusetts is pushing automakers to embrace a safety and safety evaluation system to safeguard consumers from hackers seeking to steal their private information or seize control of their automobiles. Congress also is exploring devices such as Google's Nest thermostat which"learn" how to best serve house dwellers by amassing data in their tastes and customs. Criminals may hack smart door locks or determine when residents are off by assessing the patterns of the smart lighting methods. Together with the absence of a worldwide standard for smart house networks and devices, in addition to potential safety problems, it might pay to see the dust settle before going all-in with linked house systems as conveniences to entice tenants. Have a look at a system platform such as Staples Connect. Using its smartphone program, Connect enables you to look up the over 150 devices it supports. You might discover that Staples Connect or a different system provides more than sufficient utility and advantage to audition it in your home or workplace. Try it out using a single unit -- Should you lease luxury apartments or houses, install Staples' or a different organization's network at a unit or 2, promote its availability, and check out the answer. Moreover, you could decrease the expense of the system and apparatus you pass along to tenants in exchange for their opinions, which might assist in choosing whether to install linked home technician in more components. Start only -- Try a few of the less costly approaches of additional home managers, who've slipped into smart house technology by providing single-purpose networks, such as SONOS wireless sound programs, which cost a few hundred dollars. Or provide free WiFi in ordinary regions of your possessions or even a keyless system such as Okidokeys to make sure tenants do not get locked out at 3% (and call you for assistance ). Attract families -- Attempt targeting households with children, whose lives are all about being joined. Mike Harris, creator of Zonoff, making the system software and program to get Staples Connect, stated,"Our demographics is not selling into a lot of 22-year-olds that reside in flats. We are selling to ordinary people with children and regular homes." Are you currently using smart house technology to draw tenants? What exactly are your residents' favourite gadgets? Whether it's partnering for a single deal, a lot of deals, or an entire business, partnerships may provide immense gains -- but they can also pose substantial risk. In fact, the biggest reason most startups fail is… can you guess it? Founder’s quarrels. I've seen partnerships that have enabled the individual partners to garner greater success than either of these might have attained individually. And I've seen partnerships that have blossomed into powerful long-term ventures that have lasted decades and made the partners both very wealthy. Personally, I’ve had a trusted partner in every business I’ve started. Some of you already know this about me, but Latchel is actually my 3rd business venture. In my first business, I launched a mobile ordering application with a friend from college. (We started as roommates and became best friends. The same way that I met my 3rd business partner Will Gordon, COO at Latchel.) In my 2nd business, I launched an e-commerce company that used Amazon FBA for fulfillment. We sold photography accessory products for smartphones. I launched that business with a co-worker turned best friend and we built that company to over $1MM in revenues in our first year. Accomplishment comes from action, not thought or talk. Nor can it be attained by wanting, hoping, or even just strategizing. Accomplishment is tactical. Dreaming of a goal is important, but in the end, accomplishment requires focused action. Fix, review, learn from previous errors, then take huge big actions again. I'm so frequently astonished at the amount of folks who speak about ideas, but they truly translate into nothing. Saying something does not make it real unless you’re backing it with action, focus, and maybe most importantly time. Take new years goals, for example.